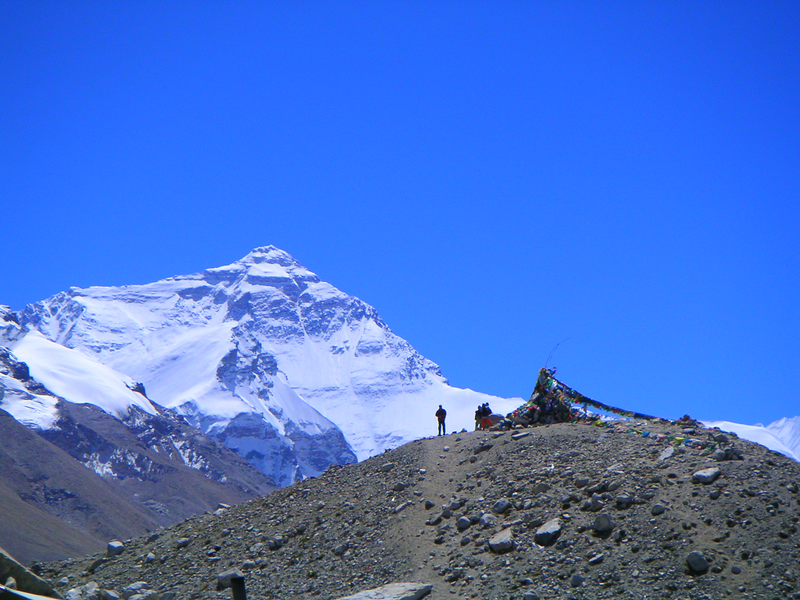 As the name itself suggests, the Everest Base Camp is the base, the starting point of a mountaineer’s ascent to the highest peak in the world. And although the base suggests something stationary, the Everest Base camp is anything but fixed. The continuous change in the season, the movement of ice therein and the unpredictable weather makes travelers shift their resting place continuously. The wind that blows there can be really harsh and if you are down in preparation, you are bound to face difficulties there. If you are by anyways trying to go to Everest- be it for mountaineering, for trekking or even in a Helicopter ride, you should have great knowledge about the temperature, wind and other climatic conditions there. I will give you a detailed sketch about the temperature of the Everest according to the months. I will also provide you with a detail about other things besides the temperature you have to consider when you look for a ride to Everest. 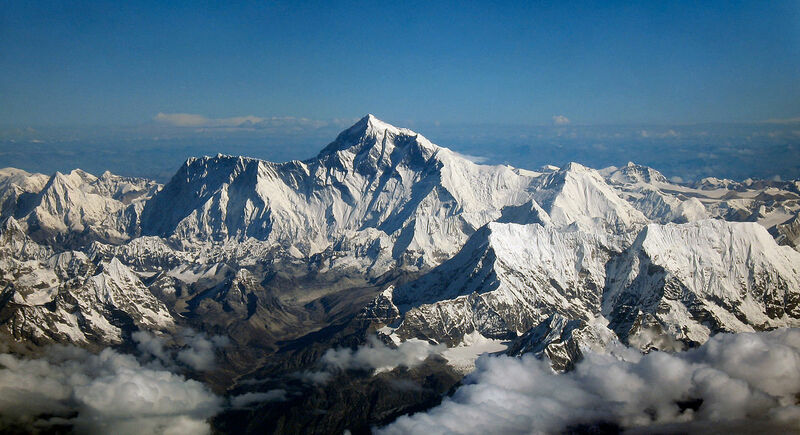 Nepal, the country where Everest resides in has three distinct climatic zones. And it shouldn’t come as a surprise that the Everest lies in the coldest of all the zones. Located at almost 29,000 ft above the sea level, the temperature can fall as low as -25 degrees. Everest is located in the Eastern part of Nepal. It serves a border between Nepal and Tibet. You can go to Luka by air as well. Lukla is an airport that is unique in terms of its geographical features and the trip there will pump your adrenaline. Nepal is a country that has 5 seasons- Spring, Summer, Monsoon, Autumn and Winter. The temperatures, as well as climatic conditions, in these months vary. There are also differences in precipitation, humidity, wind as well as dew points. Everest also has five seasons and the temperature change accordingly. And the fact that great difference in the daytime and nighttime temperatures makes the Everest even more unpredictable. 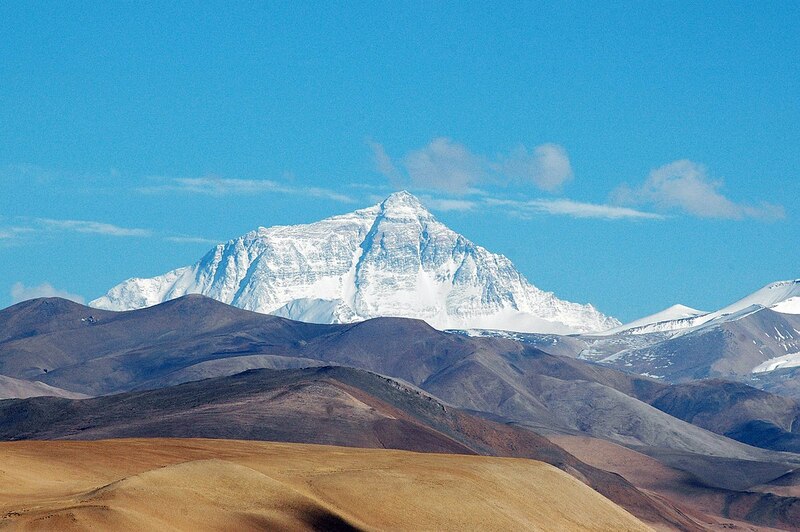 Summer in Everest is observed for four months- June, July, and August. These three months have the hottest temperature. 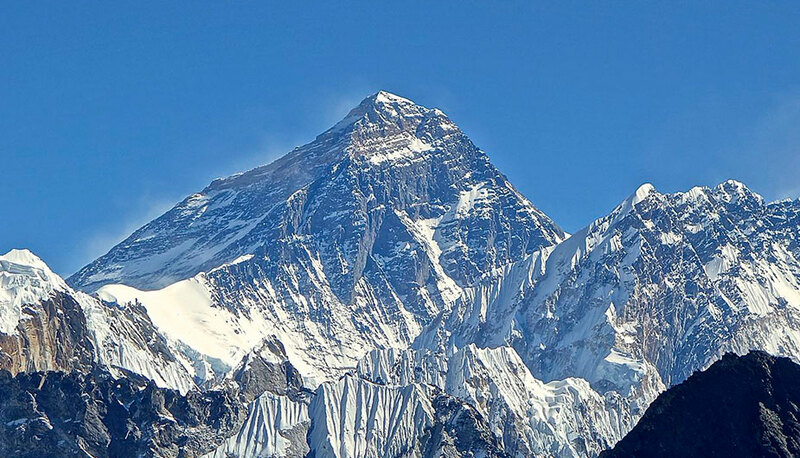 The temperature in the daytime in summer in Everest is between 20 – 25 degree centigrade. The maximum temperature is found in the month of June and July. The nighttime temperatures in Everest during the summer is high too. The lowest that the temperature gets in the night time is -3 degree centigrade and a maximum of 5 degrees. The temperature in the months of June and July are pretty similar. Despite being the hottest season in Everest, you have to bring clothes to keep you warm in this season too. You need to bring a down jacket. Make sure that the down jacket is waterproof too. A sleeping bag to keep you warm at night is advised. Summers are warm and provide comfort in the colder regions of the mountain. They offer you great scenic view in the winters, but the it is not that summers don’t offer you any scenic views. Occasionally, you might get fuzzy view of the mountains this time of the year but if you are willing to prolong your trip by a few hours for a view of the mountains, you can come. Although there is rain, you can expect a lot of warmth during the monsoon. Even if it rains, you can expect the sun to shine right away. You can also experience the sun to beat hard and the rain to pour down at the same time. When it rains in the night time, it can be fairly cold. After it rains, the temperature may go down as low as -5 degree centigrade. In case it doesn’t rain, the temperatures can be as high as 5 degree centigrade. The rain makes it impossible for you to walk your way around the Everest region without a waterproof jacket. The trousers need to be the same. Also, good trekking shoes with firm grip are needed. Slippery snow will make it virtually impossible for you to get around Everest if you don’t have good grip. The monsoon is probably the worst time for anyone to visit the mountains of the Everest reason. Difficulty to walk, unpredictable weather and fuzzy wind constantly shifting clouds are some of the problems you might encounter here. The autumn in Everest lasts from the end of September to the November. 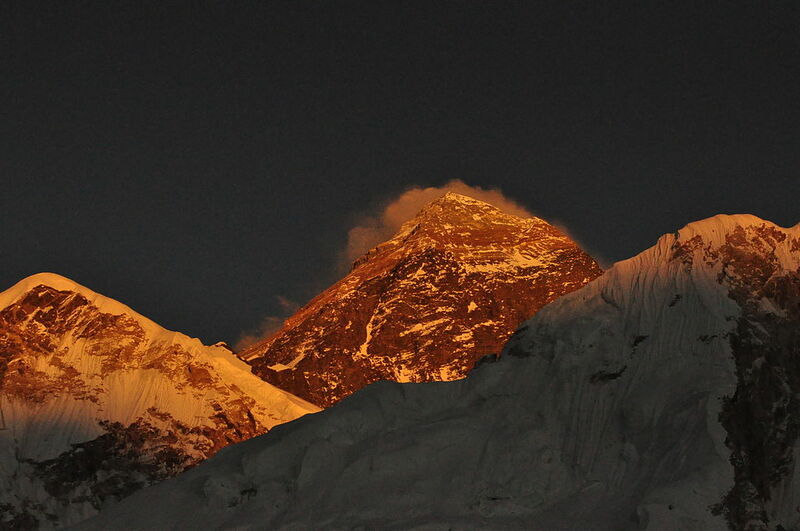 This is the part of the year when the cold starts to set in the Everest. The maximum daytime temperature starts to go down from 20 degrees in September and falls to 12 degrees in November. The sun will not be as warm as that in the summers, but that is expected. It is a no-brainer that your clothes need to be warmer than during the summer. You need to pack winter gloves, snow jackets as well as snowing pants. Lotions and moisturizers will come in handy in these months. This is the perfect time for anyone to visit Everest. Lying just between the summers and harsh winters, this season is the most comfortable in terms of traveling. The views of the mountains are clear and photographs are beautiful. Winter lies in the months of December, January and February. The coldest of all the months throughout the year, winter at Everest is severely cold and poses challenges to the interested people. 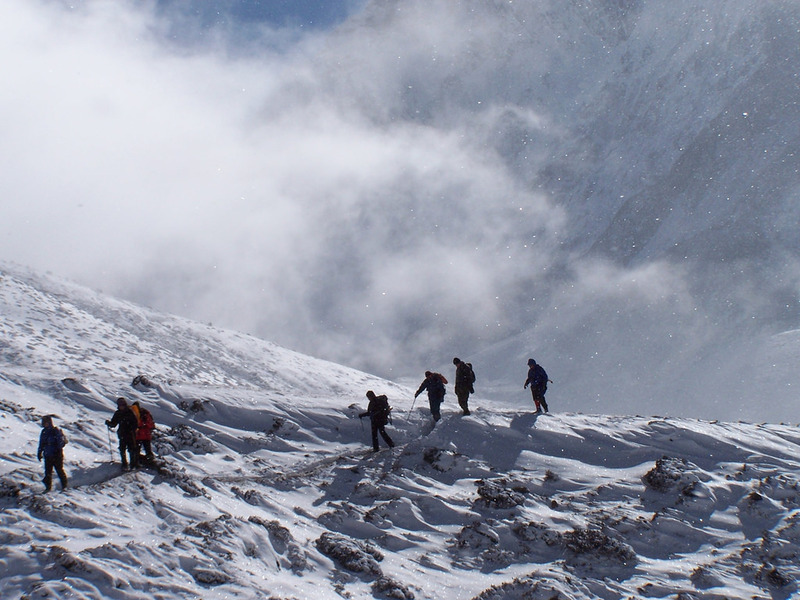 The average temperature during the daytime in the Everest winters is 8 degree centigrade. There is not a lot of difference in the temperature in December, January as well as February. All three months are equally cold. Nighttime is when the temperature falls down drastically. The nighttime temperatures around -7 degrees but it can go as low as -15 degrees. You feel the greatest importance of clothes in this particular season. A lot of packing needs to be done with some heavy clothing. Doing without sleeping bags is almost undoable. With lack of moisture in the air, you need to bring sunscreens, lip balms as well as snow and water resistant clothes top to bottom. Winters offer glorious views of the Everest. If you are a professional who has trekked in snowy conditions, you can do it. Also, if you happen to come with kids, you need to clothe and gear them well. The daytime temperature in March is around 12 degrees. This temperature goes up to 15-16 degrees in the month of April and peaks to almost 20 degrees in May. Devoid of biting cold and hot and wet summers, this is a glorious time for all Everest lovers. As the weather around this time is almost similar to that of the autumn time, the clothes need not be any different either. Down jackets, winter gloves, trekking shoes that have good grip and water resistant technology is mandatory. Why not? With the temperature being just about perfect, enjoyable to kids and adults alike, I can’t think of any reason why you should not pay a visit. This is when Everest Base Camp gets as populated as ever. Everest is a place that is covered with snows all year round. Thus you expect the temperatures to be lower than zero. Spring and Autumn are the two seasons that give you a pleasurable trek there. Winters and summers make things tricky for any potential visitor but it is not impossible. Especially with the tours that you can take in aircrafts and helicopters, Everest welcomes you always! !